KMD Creations: On the go! This past weekend was a busy one! We returned home a little over a week ago from shooting Rachel and Matt's Wedding in Minneapolis (check out their sneak peek over on our facebook page) with just enough time to do laundry, re-pack our bags, and head out of town for another awesome weekend! 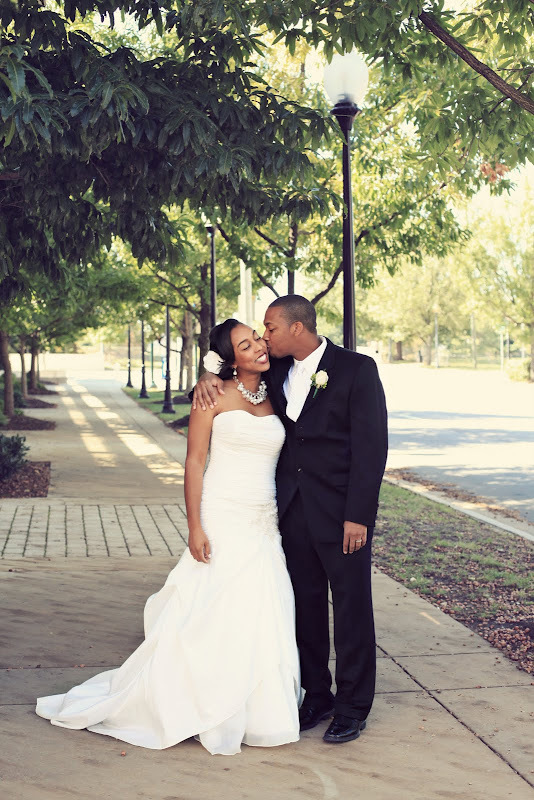 On Saturday, we had the pleasure of shooting Stacia and Alfonza's Wedding in Charlotte, NC. Stacia is an absolute DOLL!! I love when we knock on the hotel room door and we're welcomed with HUGE smiles, hugs, and tons of excitement - I knew from the start that it was going to be a really great afternoon!! I brought in my camera in hopes of showing you photos of all the wonderful things we tried, but my hands were too busy (and excited!!) shoving food in my mouth to remember to take a picture! Next time. To view a sneak peek from Angela and Vince's engagement photos, click here to head on over to our facebook page. They are a super fun couple and we laughed A LOT! We can't wait for their wedding next summer.